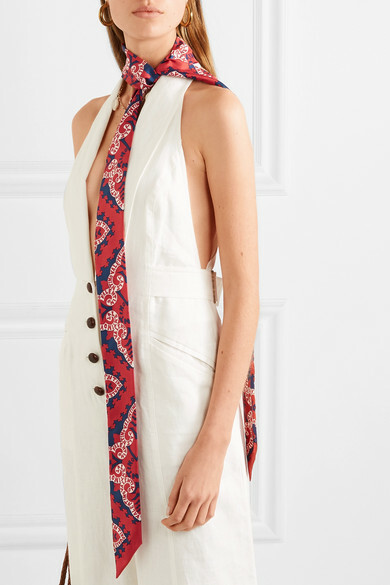 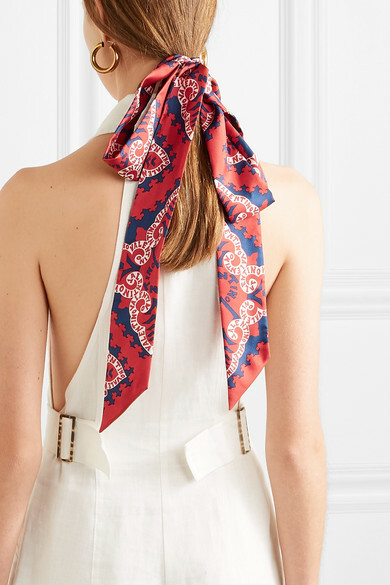 There are endless ways to style Valentino Garavani's silk-twill scarf - loosely knot it around your ponytail or neck, or loop it through the handles of a tote. 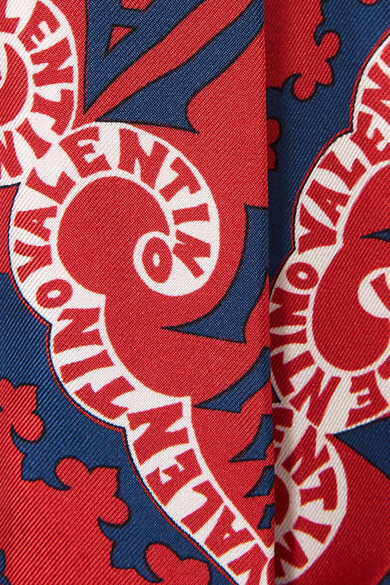 It's printed with a paisley pattern and the label's logo in a retro font. 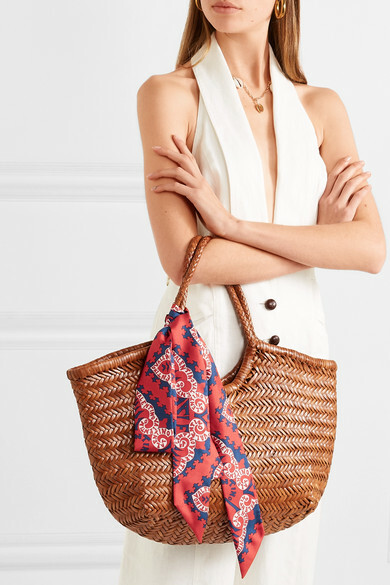 Shown here with: Zimmermann Jumpsuit, Dragon Diffusion Tote, WALD Berlin Necklace, Laura Lombardi Earrings.